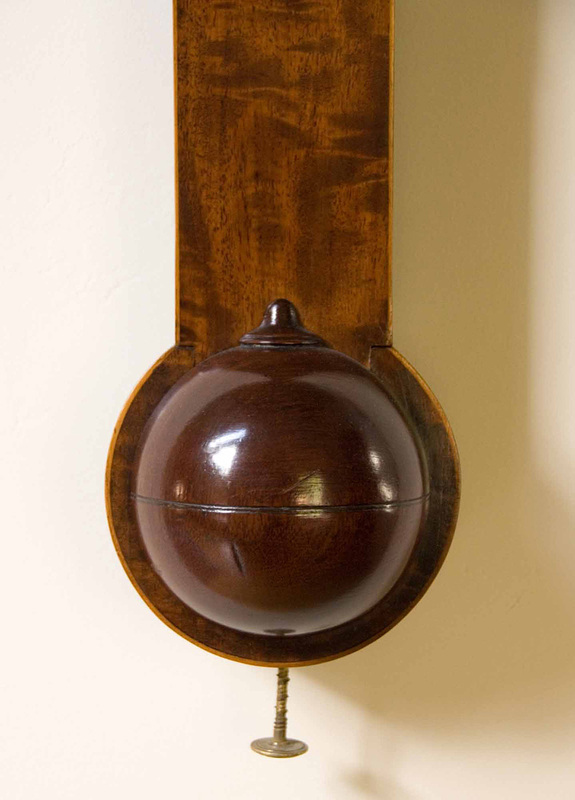 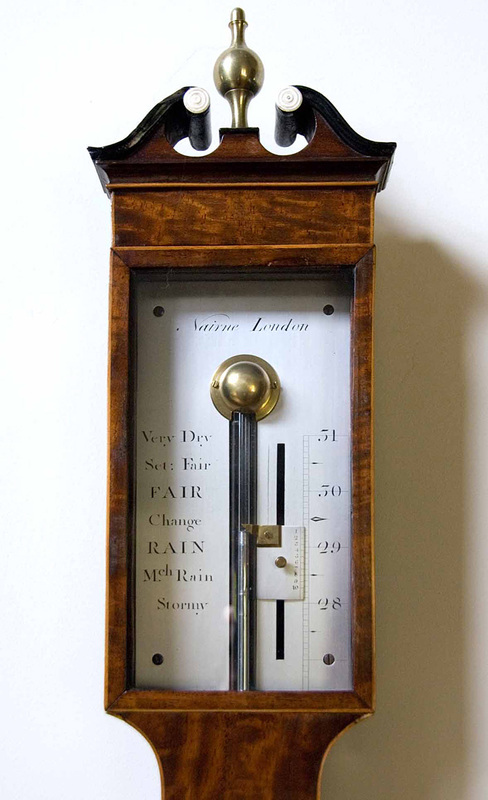 The flame mahogany of this beautifully proportioned barometer is accented with light maple on the beveled borders. 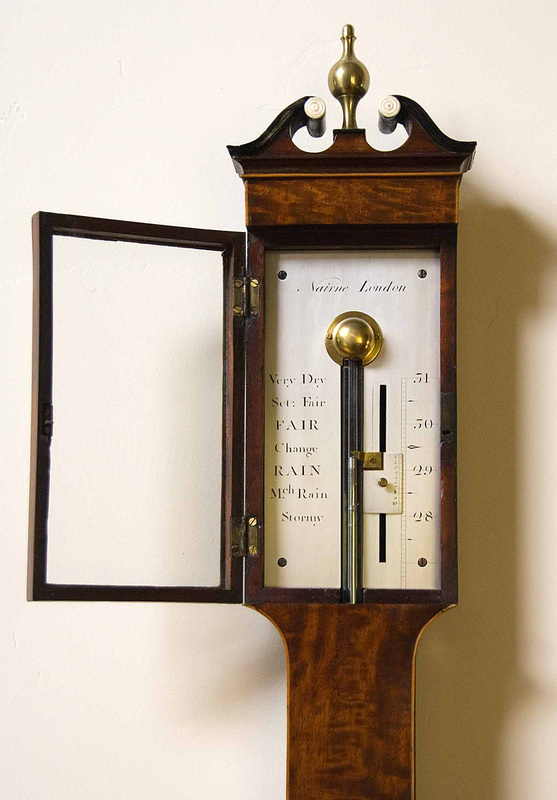 Below the swan neck pediment with brass finial a lockable door opens to the silvered barometer scale engraved “Nairne London”. 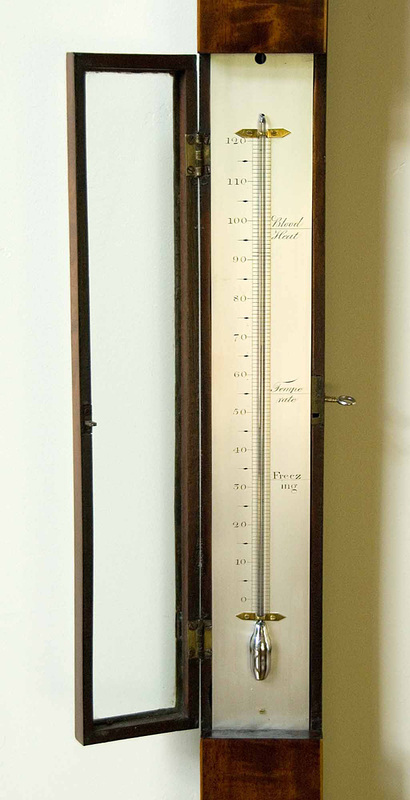 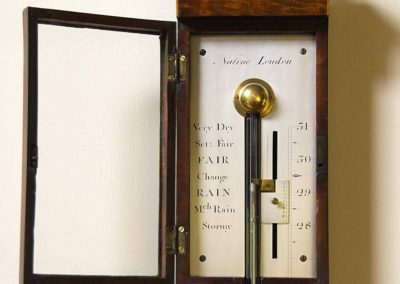 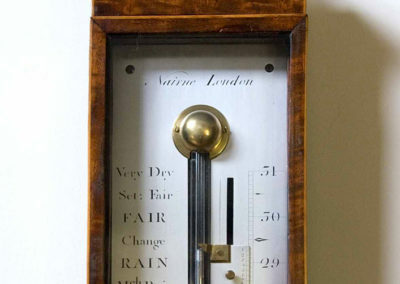 The left side of the scale ranges from ‘Very Dry’ to ‘Stormy’ and on the right the barometric pressure is indicated with a venire slide to record the pressure at a particular time. 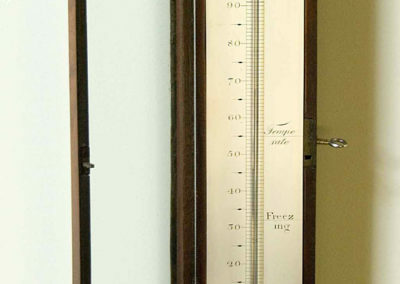 The longer lower door opens to a silvered scale with mercurial tube to indicate the temperature 0° – 120° with engraved indications “Blood Heat” at 98, “Temperate” at 55, and “Freezing” at 32 degrees. 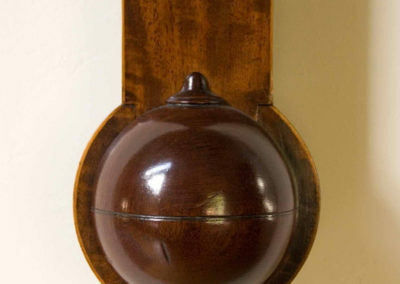 The barometer tube with boxwood cistern is concealed within the trunk of the barometer with traveling screw at the bottom.